I recently had a post about Organic Pest Control which summed up the results of a survey conducted by Mother Earth Magazine asking gardeners across the country which methods of organic pest control they found the most effective. Although I had heard of most of the methods of control mentioned in the article, I have to admit that I didn’t fully understand what some of them were. So today I am going to go into a little more detail describing the various types of organic pest control which were mentioned in the article, as well as a few others. First, it is important to make sure that the insects you are trying to kill are actually bad bugs, and not good ones. If you aren’t sure of the identification of an insect, there are many sources listed in this post which can help you with your ID. For more details about many of these methods, there is a great page on the Montgomery County Maryland website called Pesticide Alternatives. 1) Handpicking– This method of pest control means just what it says. You walk through your garden and remove the insects by hand. This method works well for large insects such as beetles and hornworms. Of course, you have to do something with the bug once you pluck it. If you don’t have chickens or ducks to feed them to (see number 9, below) then you can carry a small container of water and soap or isopropyl alcohol to drop the pests into. The deceased insects can then be returned to the earth to provide garden nutrients. 2) Hose ‘em off – Similar to handpicking is spraying them off with a strong stream of water. This method should be used when you are watering, anyway, so you don’t waste water, and works, to some limited extent, for soft bodied insects such as aphids and spidermites. Be sure and spray the bottoms of the leaves, too. 3) Right Plant, Right Place– Plants will generally have more pest resistance, and be healthier in general, if they are grown in the right spot. Get to know your site conditions and choose plants accordingly. 4) Growing resistant varieties– Plant breeders are creating cultivars that are more resistant to pests and diseases all the time. Ask for these varieties when making your plant selections at local nurseries or through mail order catalogs. Keep in mind that, in general, native plants are often more resistant to native pest species. 5) Timed planting– You can avoid certain garden pests by planting when they aren’t around. Some pests lay eggs only at a certain times in the spring. Planting to avoid these times can help avoid the pest. 6) Companion planting – Companion plants in your flower and vegetable garden will attract beneficial and predatory insects to your plants—while repelling unwanted garden thugs. For example, marigolds repel nematodes; mints (potted to prevent overgrowth) repel cabbage pests and aphids; rue deters Japanese beetles; sweet basil controls tomato hornworm, repels aphids, mosquitoes, mites and acts as a natural fungicide and slows the growth of milkweed bugs (and don't forget pesto! ); tansy used as a green mulch can repel cucumber beetles, Japanese beetles, ants, squash bugs. Chrysanthemums, chives, onions and garlic repel many pests, so plant them near your vegetable crops. 7) Crop rotation – From season to season, plant different crop species in the same location. This will help you discourage pests which were attracted to the first crop and keep pest populations from building up. 8) Insecticidal soap– Insecticidal soaps work by penetrating the insect’s outer layer (cuticle) and dehydrating them and is useful for soft-bodied insects such as aphids, mealybugs and whiteflies. Although insecticidal soaps are more eco-friendly than harsher chemicals (they are non-toxic to humans and test animals and they biodegrade rapidly in the soil) there are some things to keep in mind. First, all soaps have phytotoxic properties, so you should test them on a few leaves before spraying an entire plant. They will also kill many beneficial insects so make sure you know which insects you are spraying. Insecticidal soaps can be purchased at many garden supply stores now or you can make your own. 9) Horticultural oil – Horticultural oils work by smothering pests and their eggs, and may also have some repellent properties. Superior oil products control a wide variety of insects while going easy on beneficial insects. You can purchase horticultural oil or make your own. 10) Bt (Bacillus thuringiens),is a microbial biological control method which works on various larval insect pests. Bt is applied to the plant, where it is ingested by the caterpillar, which is poisoned, paralyzed and eventually dies. Bt will not harm the majority of beneficial insects in your garden. However, it will kill butterfly larvae, which of course, are caterpillars. Bt can be purchased under many brand names. 11) Neem– (also known as azadirachtin) is an insecticide extracted from seeds of the neem tree. Neem works as a broad-spectrum repellent, growth regulator,and insect poison. It discourages feeding by making plants unpalatable to insects. If they eat the treated plant anyway, it inhibits their ability to lay eggs. Neem works on a wide range of insects, however, caution should be used. It is described as being ALMOST non-toxic to mammals and beneficial insects, but should not be used on food plants. 12) Garlic-oil spray- Garlic oil kills insects, but not selectively, so it will kill the good bugs as well as the bad bugs. It works well on aphids, squash bugs, whiteflies and other insects. 13) Diatomaceous earth– Diatomaceous earth (DE) is a nonselective, abrasive dust commonly used to kill pests in the home and garden. It works by physical rather than chemical action. DE is the fossilized silica shells of algae called diatoms, which are covered with sharp needlelike projections that penetrate an insects cuticle, causing the insect to die of dehydration. You can dust plants and soil with DE to control crawling pests like slugs and snails, aphids, caterpillars and other insects. DE is considered nontoxic to mammals, but can irritate mucous membranes, so a dust mask should be worn while applying it. .
14) Milky spore disease – This product kills grubs of Japanese beetles and other related beetles but is harmless to other organisms. 17) Poultry predation– Apparently, chickens and ducks love things like grubs, hornworms and other meaty garden pests. If you have the time and space to raise poultry, this sounds like a fun, eco-friendly solution. 18) Beneficial nematodes, Beneficial nematodes are underground pest hunters that control over 250 different species of insects that spend some part of their lives underground. They are a very efficient organic insect control method and kill most insects before they become adults. This includes lots of common lawn and garden pests such as grubs, fleas, mole crickets, Japanese beetles and weevils. 19) Floating row covers – Floating row covers are lengths of fabric which are lightly draped on plant foliage, creating barriers from pests. They let in more than 80% of the sunlight, as well as the rain and other irrigation. Covers must be draped loosely to allow for plant growth, but secured at the bottom to prevent intruders. 20) Rigid collars – For the plants, not the insects. Collars can be made of cardboard, plastic or metal cans, open at both ends and placed around the plants. These work for some cutworms, but not climbing cutworms. 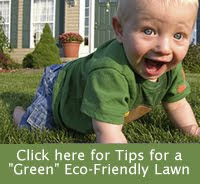 Many of these products can be purchased online or at your favorite nursery or hardware store. **The source for much of this material came from two books from our home bookshelf: Rodale's Chemical-Free Yard & Garden and The Organic Gardener's Handbook of Natural Insect and Disease Control.